There are a number of different approaches in the software development industry – some are new takes on old methods and others have adapted a relatively new approach. The two most commonly used methods in this field are the Agile such as, Scrum, Kanban and Lean and etc., and traditional Waterfall models such as structured methods or newer RUP. Most software companies that follow these two models will argue that their chosen method is superior in respects, so before we answer the question, “Which one is more successful? We should look at their main differences. 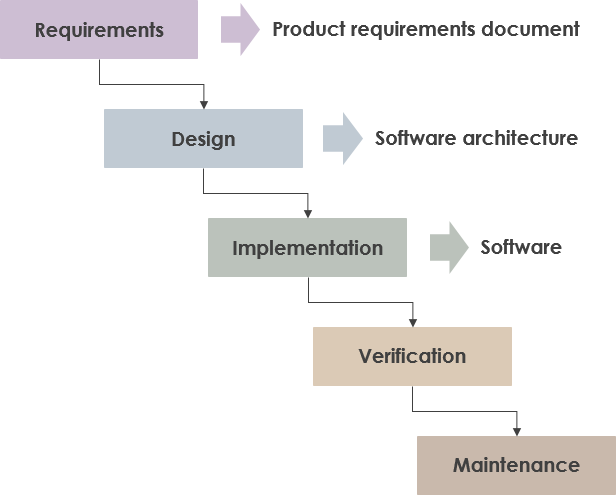 Waterfall is a linear approach to software development process. Each of these represents a distinct phase of software development, and each phase generally finishes before the next one can begin. There is also typically a milestone between each development phase. 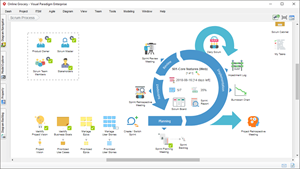 Agile development stages include traditional planning, analyzing requirements, design, coding, testing, and deployment, but they form a cycle rather than a line. This means the processes are flexible, repeatable, can happen in any order and in parallel. This allows gathering the user feedback, continuous testing against different environments and changing the scope of the project on the run. Time-Boxing – The team is required to complete the assigned tasks within the defined timelines. Collaboration – The team commits to delivering the final products within the given timelines, which will encourage cross-team collaboration and ingenuity in completing the tasks. The Waterfall Method’s greatest strengths are its fixed costs and predictability. You know the price, and when it is going to be delivered. Its most significant weakness is its inflexibility. The Agile Method is extremely flexible and could evolve into a significantly different product than was originally envisioned. Traditional waterfall approach is built upon the basis of the triple constraints of time, cost and scope. Adjusting any of those variables forces a change in at least one of the others. Delivering a successful project is dependent on balancing these three competing variables. But as we know simply adding resources to a project doesn’t always bring about the desired goals. As a matter of fact, if resources are added late on a software project, it actually has an adverse effect. Agile Approach takes a different approach by turning the triple constraints upside down. Rather than viewing scope as fixed at the start, agile approach sets time (iterations) and cost (team members) as fixed; scope is then adjusted to focus on the highest priorities. Agile is built with the expectation that scope will evolve over time. The goal is to deliver the client’s most important requirements within the budgeted cost and time. 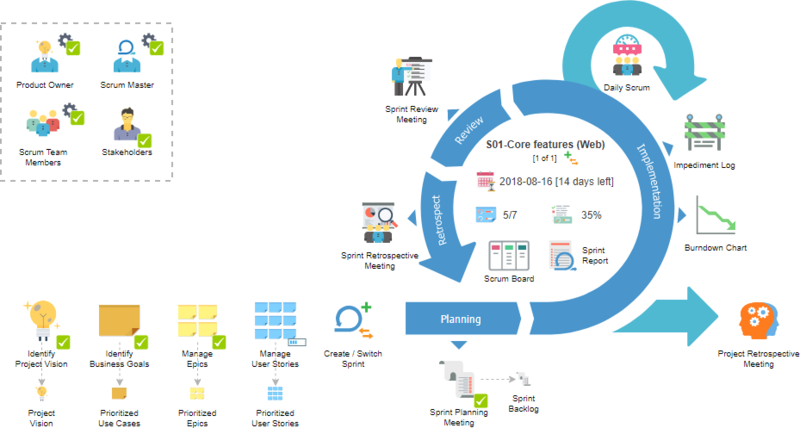 Agile allows for new requirements or re-prioritization as the project moves forward. The most recent report from the Standish Group covered projects they studied between 2013 to 2017. For this time period, the overall breakout of success, challenged and failure is shown below for agile and waterfall, with Agile projects being roughly 2X more likely to succeed, and 1/3 less likely to fail. Since the birth of the Agile Manifesto in 2001, there has much buzz around being agile. In fact, Agile approach is just a way of thinking that enables teams and organizations to innovate, quickly respond to changing demand, while mitigating risk. 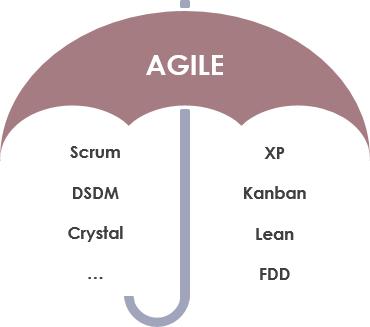 Organizations can be agile using many of the available frameworks available such as Scrum, Kanban, Lean, XP and etc…. Kanban is Japanese for “visual signal” or “card.” Toyota line-workers used a Kanban to signal steps in their manufacturing process. As a part of Lean, the system’s highly visual nature allowed teams to communicate more easily on what work needed to be done and when. It also standardized cues and refined processes, which helped to reduce waste and maximize value. Similarly to a scrum sprint board, Kanban tracks ‘to do – Doing – done’ activities, but it limits them by the number of ‘work in progress’ activities (the number is defined by the team manager and cannot be exceeded). Visualize work to increase communication and collaboration. Limit work in progress to avoid an endless chain of non-prioritized open tasks. 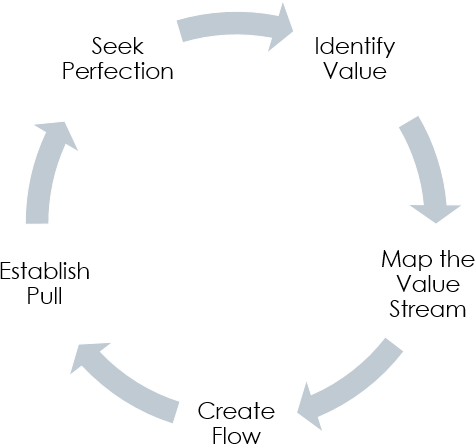 Measure and optimize the flow, collect metrics, predict future problems. Aim for continuous improvement as the result of analysis.